Well your friends at Fit Bottomed Girls collected the best tips for newbies by some of our favorite trainers to help ease your mind while getting you prepped for that first one-on-one personal training session. Now get ready to up your fitness game! Come to your first session with some pre-set, specific goals. If you are unsure of exactly what you want, let them know. They are there to help you figure it out and quantify your goals so you can track and measure them, and therefore, reach them. Prepare to learn. The end of the first session generally teaches you something about how your body moves and/or addresses a movement imbalance or specific muscle you’d like to focus on. It’s more than just fitness. Expect to talk a little about your eating habits and come prepared with a few questions about supplementation or nutrition in general. Talk about your past. First and foremost, you should be prepared to discuss any injuries/health concerns and sign forms indicating you have medical clearance to start a training program. Work on your form. A trainer might ask you to do a movement assessment to see if there are any issues. For example, they may ask you to squat, lunge and hold a plank to assess and adjust your form to make sure it’s safe before you start adding weight. Don’t expect a full workout. 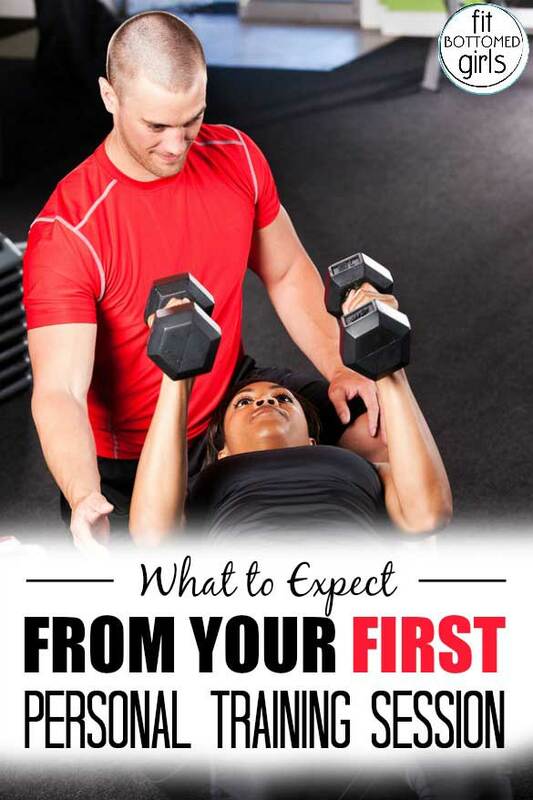 Your first session might be more of a demonstration and evaluation than a full workout so be honest with your trainer if you have any discomfort or pain and don’t worry about not picking up a movement correctly the first time. You are there to learn! It’s normal to be a little nervous. New clients often confess to being a bit nervous about their first personal training session. Ideally, your trainer will have already spent some time chatting with you (either on the phone or face-to-face in the gym) about your big picture goals, previous exercise experience and general health. Keep it going. Expect to be given some homework, either in the form of an exercise program to be done on your own before you see your trainer again or instructions for keeping a food log (if weight-loss is one of your goals). Book it! The second session should be booked at the end of the first, preferably within a week to capitalize on motivation and momentum! I’ve considered hiring a personal trainer, but they are costly! I think the expense puts a lot of people off, but you can usually cut the sessions back to once or twice a month once you’re set up with a workout and nutrition plan. If you’re new to the gym, particularly if you’re attempting complicated lifts where there’s a higher risk of injury, hiring a trainer for a couple of sessions seems a wise investment! This is my first time ever having a coach can you please help me out. I would like to be in a straight dress by March 2016, if at all possible. I have went down drastically in my waist measurements since the end of April /beginning of May. I was 41 1/2″ there at the time and now I’m down to between 38 1/2 – 39 & almost 1/4″ it’s honestly the line right before the 1/4 ” mark. I do not know what that exact measurement is though. So, sorry about that! Becky S. Sparks or Rebekah!